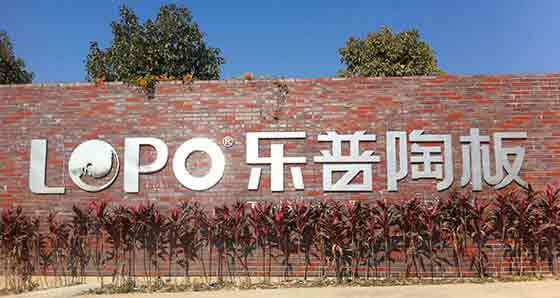 LOPO China is a family-owned corporation established in 2002 by the couple Mr Xinghua Peng and Mrs Meiyu Yang. Over the past decade, LOPO China has become the major manufacturer of architectural terracotta product in mainland China. Now we have set up 3 factories in Fujian province, which are LOPO Clay Tile, LOPO Terracotta Facade, LOPO Artificial Cultured Stone. LOPO Clay Tile Factory Founded. LOPO Artificial Stone Factory Founded (LEYE). LOPO Becomes the Largest Clay Tile Production Base In China. LOPO Clay tile Product Applied in Facility of 2008 Beijing Olympic Game. LOPO Terracotta Facade Factory Founded. LOPO Product Applied in EXPO 2010 Shanghai. LOPO Start the 2nd Phase Extension of Terracotta Facade Factory. LOPO Launches the Floor Heating System. LOPO Sells 260,000 ㎡ Terracotta Panel and Rank NO.1 in China Terracotta Facade Market. 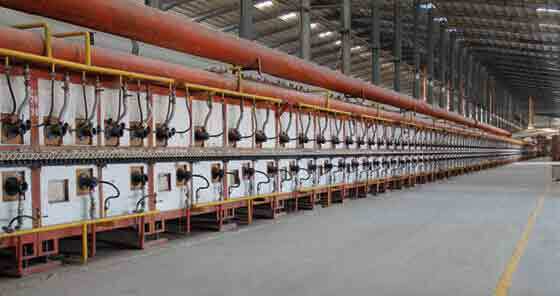 LOPO's new terracotta baguette production line was completed and put into use at the clay tile factory. LOPO China has world class production lines and equipments, imported from Italian and localized by ourselves, of which are strong production capability with annual production of 4,500,000 m² clay tiles, 600,000 m² cultured stone and 1500,000 m² terracotta facade panels. Every indicator of energy consumption has reached the leading level.